Jessie Clayton wraps up her painting on the west side of Philipsburg’s new Gallery, which opened its doors this week. Clayton’s brother, Pat, a scenic and wildlife photographer, owns the business. Jessie also painted the Philipsburg Mail’s new office, next door to the Gallery. The Finn addition, and with it effectively all new development additions to Philipsburg, was stuck in the mud. That mud being the sanitary lagoon which the Montana Department of Environmental Quality determined to be out of compliance a decade ago. Since that time, DEQ has been working with the Town to find alternative methods and measures of escaping heavy fines but after clearing most of its hurdles, the developers of the Finn Addition, located just southeast of Philipsburg’s downtown, are looking for a way to clear the hurdle with the DEQ. The Granite County Forest Management Advisory Committee (FMAC) has approved a document to be included in the County Growth Policy Plan that would allow the Granite County Commissioners to coordinate with federal agencies on forest policy decisions. FMAC was formed by the Commissioners last year to advise them on forest policy. The coordination recommendations represented in the document are the first formal proposal developed by the Committee. The Growth Policy Plan was last updated in 2011 and was approved by the Commissioners in 2012. It helps to guide county policy on development as well as many land use issues. The County Planning Board has begun the process of revising and amending the County Growth Policy Plan. A summer solstice celebration is returning to Philipsburg this summer. Jesse Mullen, publisher of the Philipsburg Mail, appeared at last week’s Town Council meeting to request a street closure for the June 21 event. Click SUBSCRIBE at the top of this page. 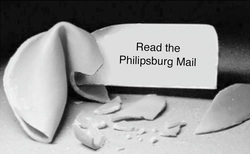 For the complete stories and much more, please subscribe to the Philipsburg Mail today. Call (406) 859-3223 or e-mail mgr@pburgmail.com for subscription information.